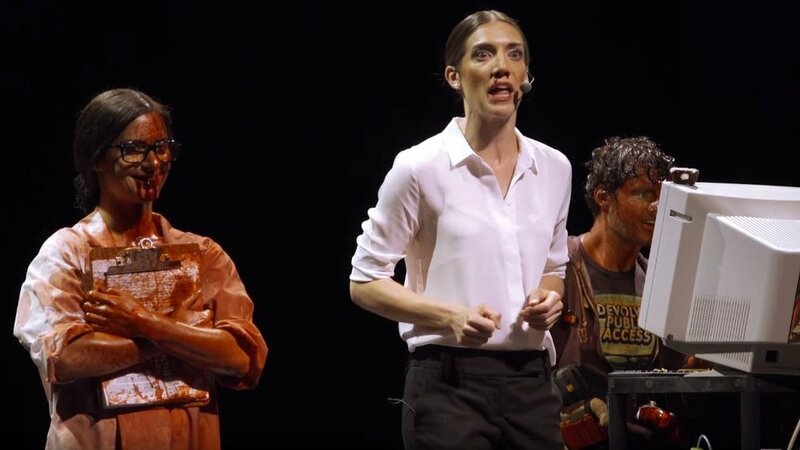 Last year’s E3 was significantly brightened by one of the darkest, funniest press conferences ever from Devolver Digital. Filled with the kind of blood, satire and subversion you'd expect from a late night of watching Adult Swim, its only disappointment was the lack of new games to announce. On Sunday, June 10, the Texas-based publisher will return to E3 with another late night of shenanigans. They announced that their "Big Fancy Press Conference will feature real, actual game reveals" this time. Other promises include "technological innovations from Devolver Labs" and the certainty that there will "be blood, possibly loss of life." What we can probably expect for real is more information on Serious Sam 4: Planet Badass, which got a cinematic trailer last month with maybe an extended gameplay presentation, as Serious Sam is the franchise that helped set the publisher up for many more years in the business. Some smaller titles, such as Sometimes Always Monsters, the sequel to Always Sometimes Monsters and the action RPG Eitr, might show up but my hope is for something big though honestly, I can't really imagine what that would be outside of a third Hotline Miami and that seems unlikely. If you need a refresher on what to expect from Devolver Digital at E3 2018, check out last year's press conference in its entirety below. The Combat Overview video got us excited, and you just might be in the same boat as us after watching it.